KCB China Bank: Kenya’s largest bank by assets and profitability, Kenya Commercial Bank (KCB), is set to open a banking unit in China. The unit will be opened as a form of venture that the it aims to use to increase trade ties between China and African countries where it operates. The bank is currently looking to start its operations in China in June this year. “We hope to use the office to lower cost of transactions between the Chinese and East African business community by enabling payment for imports and exports in local currencies,” says KCB’s Chief Finance Officer Lawrence Kimathi. 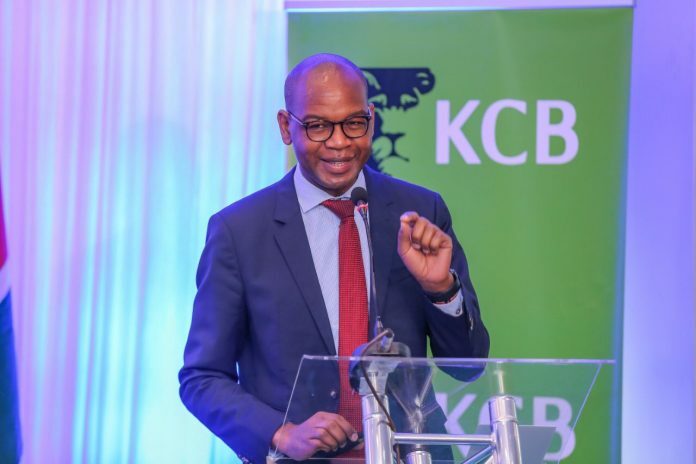 KCB has also revealed that it is finalizing on plans that will see it incorporate the Chinese Yuan bank branches and subsidiaries. The bank sees the Yuan as a strategic currency for traders looking to lower the cost of their transactions. This is the latest move involving trade and investment ties between China and Kenya. It also shows the potential that Kenya’s leading businesses see in China. Currently, China is ranked as the largest importer for Kenya with goods valued at around Sh. 372 billion. Imports from China, largely machinery and transportation equipment, fell by Sh. 9.38 billion in the nine months through September 2018, data by the Kenya National Bureau of Statistics show. Beijing shipped in goods worth Sh. 292.2 billion in the January-September 2018 period compared with Sh. 301.60 billion the same period in 2017. The data shows shipment of machinery dropped in the period to Sh. 211.11 billion compared with Sh. 245.9 billion a year earlier, while transport equipment imports were nearly flat at Sh. 148.96 billion compared with Sh. 145.7 billion. The two commodities have largely been major drivers of China’s export bill to Kenya after Beijing landed a lucrative $3.233 billion loan (Sh. 327.87 billion under prevailing rates) to build a 385km modern railway between Mombasa and Nairobi.